This Natchez, MS golf course development promised beautiful lots that surrounded a course set against a striking red clay bank. The charge was to promote the lots as both a beautiful home setting and a smart investment opportunity. 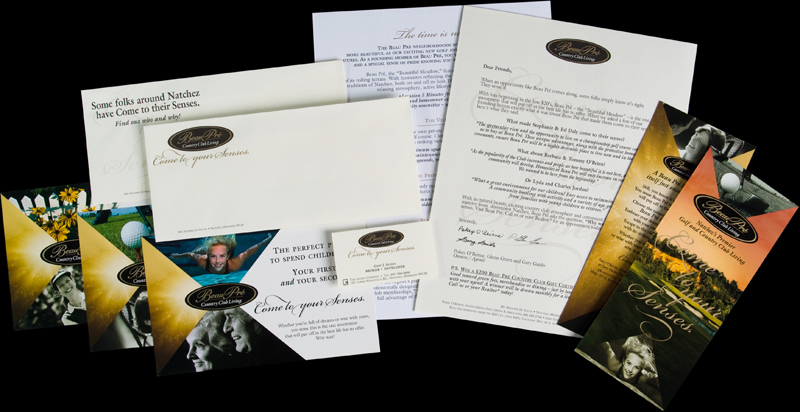 Our positioning line challenges the consumer to take action and secure a luxury home site. 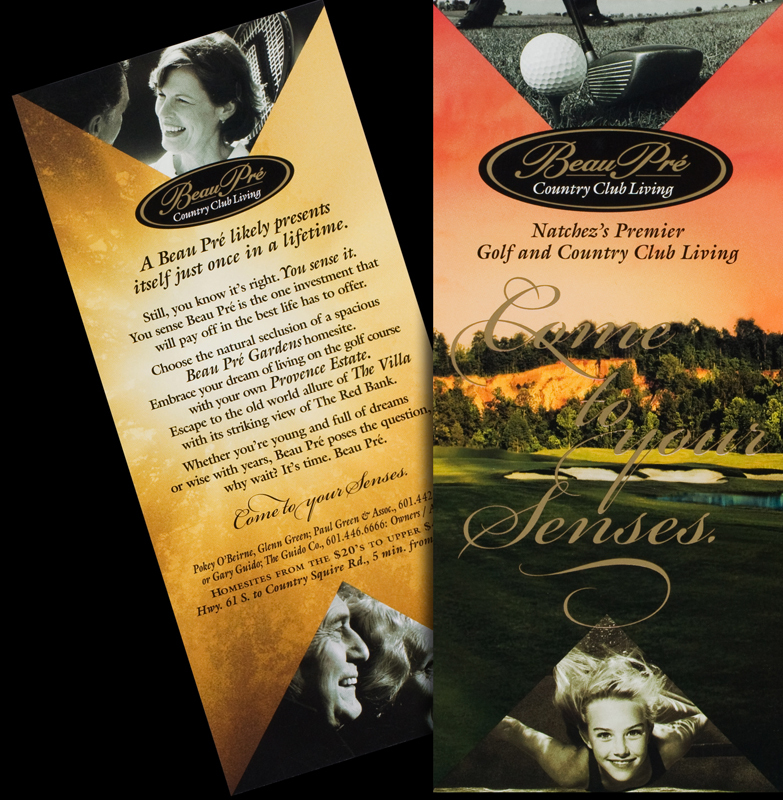 In the promotional materials, the copy addresses lifestyle and value while the visual presentation offers a real showcase for the beauty of the golf course and its natural surroundings. Natchez is Vidal’s home town and most of the folks are just a little crazy, so she took particular pleasure in the positioning line.